The streets of Baltimore were abuzz on 17 September 1863 with word that a new Union regiment was marching from Camp Belcher on the western outskirts of town to the harbor. After two years of war, the sight of soldiers in the city should not have caused great excitement. Not since 19 April 1861, when a secessionist mob brutally attacked the 6th Massachusetts and caused the first hostile deaths of the war, had there been such a stir. But on this day, the mere sight of the regiment caused some spectators’ blood to boil. Even though Maryland was a Union state, its largest city was still a center of secessionist sympathies and racial intolerance, hence the excitement. Unlike the 6th Massachusetts these soldiers were mostly black men, members of the 1,000-strong 4th United States Colored Infantry Regiment. In its front rank marched one familiar to many—fellow Baltimorean Christian Fleetwood. Fleetwood was born in Baltimore on 21 July 1840 into a family of free blacks. He was raised in the Tyson Street home of John C. Brune, chairman of Baltimore’s chamber of commerce and a wealthy sugar merchant. Fleetwood was expected to assume his father’s position as the majordomo, or head butler, of the Brune house. The childless Mrs. Brune took personal charge of Christian’s upbringing and education, teaching him to read and write and allowing him free access to the family’s ample library, where he honed his lifelong reading habit. As his education progressed, it became obvious that his talents would be wasted as a butler. He was a clear choice to be the chief West African representative for the Brune’s sugar business. To prepare Fleetwood for such duties, Brune sent him on a tour of the West African nations of Liberia and Sierra Leone in 1856. Upon his return, Fleetwood learned business under the tutelage of Dr. James Hall, director of the American Colonization Society until he went to Oxford, Pennsylvania, to attain a formal education. As a student from 1857 to 1860 at the Ashmus Institute, later Lincoln University, he pursued a program of classical and business studies. When he returned to Baltimore, he began a three-year apprenticeship with the Baltimore shipping and commission agents G.W.S. Hall & Company, conducting business with Liberia and England. While working at G.W.S. Hall he also became active in a literary organization, the Galbraith Lyceum. In 1863, Fleetwood founded the society’s weekly journal The Lyceum Observer, the first newspaper south of the Mason-Dixon Line owned and operated by (and for) African Americans. The Civil War created a unique opportunity for free blacks in America. 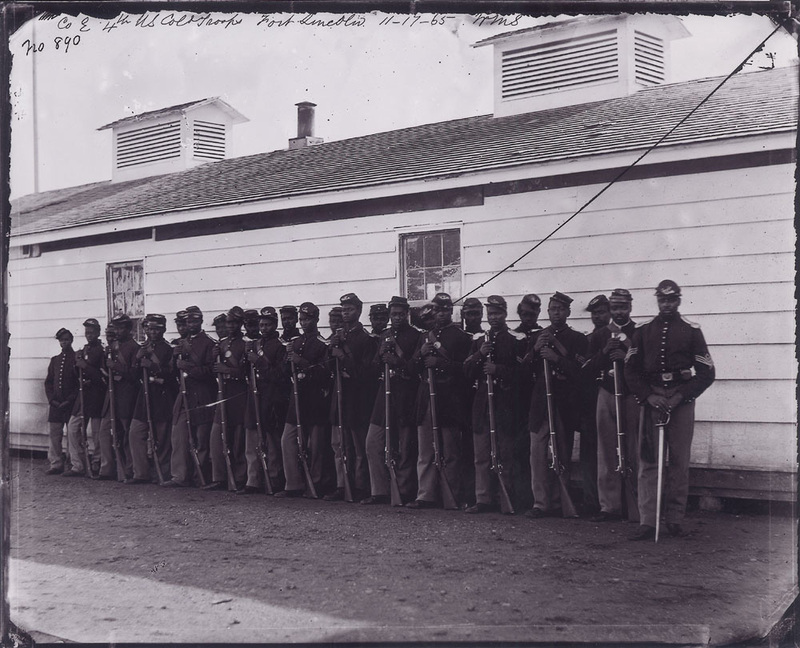 By the summer of 1863 the Union, desperate for manpower, began mustering black volunteers into formations known collectively as the United States Colored Troops. One of those was the 4th being raised in Maryland. After deliberating his options for several months, Fleetwood enlisted on 11 August. Eight days later, due to his intelligence, education, and experience, the mustering officer, Colonel William Birney, appointed Fleetwood to the rank of sergeant major—highest rank a black man could hold by law. On 28 September, the 4th U.S. Colored Infantry shipped out of Baltimore on the transport Milli Penty bound for Hampton Roads, Virginia. Under the command of Colonel Augustus Duncan, the regiment disembarked at Yorktown, Virginia. Much is known about Fleetwood’s activities as a soldier because he was an articulate and prolific writer. Like many soldiers throughout history, he kept a diary and wrote detailed letters of his experiences. Of his time on the Peninsula he wrote in an 1865 letter to Dr. Hall: “Leaving Baltimore in September 1863 we reported at Yorktown Va. and in less than a week were ordered on a raid, making thirty (30) miles per day, with no stragglers. We remained at Yorktown until 1/64 engaging in similar expeditions once or twice in every month.” In addition to writing, Fleetwood spent his spare time reading books and newspapers. One of the books he read in the spring of 1864 was a biography of the Union Army’s new commanding general, Lieutenant General Ulysses S. Grant. On 9 April 1864, the 4th was ordered to Point Lookout, Maryland, site of one of the Union’s largest prisoner of war camps. The transfer created a mountain of paperwork that kept Fleetwood busy. “Oh Lord! The details!” he exclaimed on the day after arrival. Point Lookout was gaining a notorious reputation as a POW camp. Assaults, shootings of prisoners, and fights were regular occurrences. Furthermore, as in all such camps health and hygiene was an extreme challenge. As the regiment’s senior noncommissioned officer, Fleetwood was responsible for establishing duty rosters and work details for the camp, and keeping order among his soldiers. This he did well. The regiment’s stay at Point Lookout was very short. On 25 April, the 4th was unexpectedly ordered back to the Peninsula. But as a reward for a job well done with no prisoners harmed in their custody, the regiment was issued beer rations on the return voyage aboard the transport George Leary. Fleetwood may have questioned the wisdom of issuing the beer as he had to break up at least one fistfight among his soldiers during the trip back to Virginia. By 4 May, the 4th moved up the Peninsula toward Richmond. There it participated in Major General Benjamin Butler’s botched attempts to break the Confederate lines between Richmond and Petersburg. Fleetwood and the 4th settled into operations during that confusing time when the Army of the Potomac was struggling unsuccessfully to take Richmond through a series of brutal battles now known as the Overland Campaign. When that campaigned failed, Grant adjusted his sights to the important rail junction of Petersburg, Virginia, on the south of the James and Appomattox Rivers. The 4th would play a role in that operation. On 7 June, the soldiers of the 4th were issued ammunition. Rumors of an impending battle ran rampant, but Fleetwood had none of it. In his diary he wrote, “Ammunition issued and talk of on to Petersburg. Doubt it.” He was right to question the conventional wisdom. Changes in the order of battle brought about by Major General Quincy A. Gilmore’s distrust of black troops saved the 4th from the embarrassment of failing to capture Petersburg, a failure that set the conditions for a nine-month siege. The 4th occupied the siege lines outside Petersburg in a summer of tedium broken only by occasional rifle and artillery exchanges. On the early morning of 30 July, the regiment occupied trenches left vacant by another that had earlier moved closer to the front. At 0445, Fleetwood was abruptly awakened as the ground trembled beneath him. Before his eyes, he watched as great volumes of earth rose up from an explosion that threw earth, men, and equipment far into the air before slamming them back down to the ground. The rumors of a great mine being constructed under the Confederate lines were apparently true. From his vantage point he watched as Union troops poured into the crater created but failed to exploit the opening in the rebel lines. In fact, the Confederates responded quickly and repulsed the advance with great loss of Union life. The fact that another black regiment was involved in the debacle concerned Fleetwood. He worried that what appeared to be poor performance by one regiment would damage the reputation of the entire United States Colored Troops. “Broke and run! Devil blame them!” he wrote in his diary. He need not have worried. It soon became clear that poor planning and leadership was responsible for the fiasco. By September the 4th Regiment moved to a secure location on the James River. 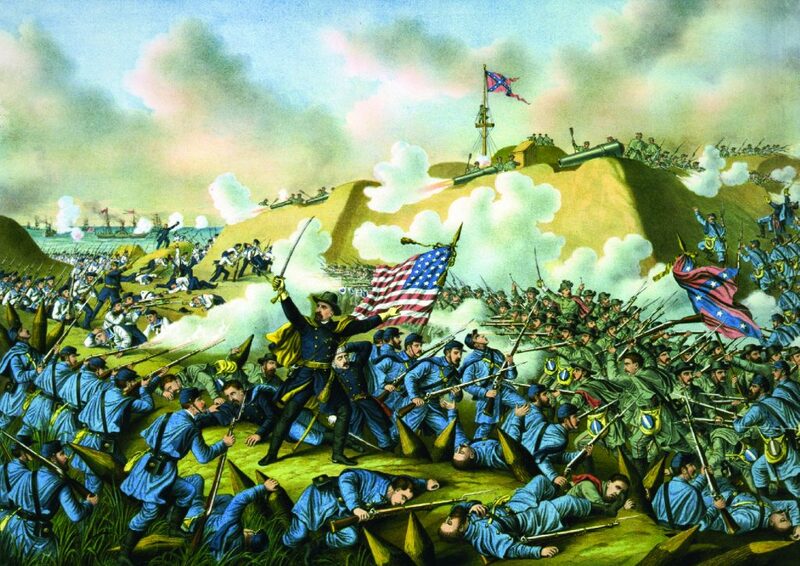 Later that month, Grant decided to simultaneously attack the Confederate trenches to the south at Petersburg and those to the north at New Market Heights. The result was the battles of Chaffin’s Farm on September 29-30 September and Peebles’ Farm on 30 september-2 October. Christian Fleetwood and the 4th U.S. Colored Infantry participated in the fighting at Chaffin’s Farm. It was a brutal affair with nearly 5,000 casualties. When a series of color bearers fell, Fleetwood braved a fusillade of lead, stepping forward to ensure that the regimental colors would not hit the ground. Higher headquarters put out a call for the names of those whose performance had been noteworthy. Among those names was Sergeant Major Christian Fleetwood. Seven months later Fleetwood, in what must have been the most understated award presentation in U. S. Army history, received the Medal of Honor in the mail. 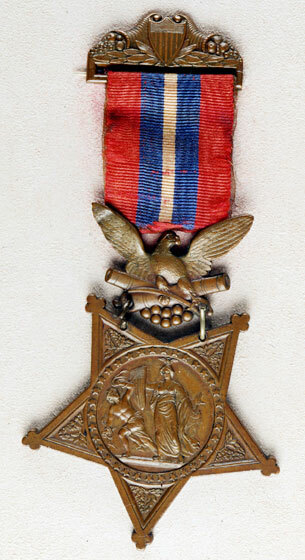 The Medal of Honor was created in 1862 when President Lincoln approved an award “to such noncommissioned officers and privates as shall most distinguish themselves by their gallantry in action, and other soldier-like qualities, during the present insurrection,” but it did not enjoy the universal prestige it does today. Getting a medal was nice, but in those days, there was only one worthwhile reward for good performance— promotion. Even though others were promoted, no promotion was forthcoming for Fleetwood. He already held the highest rank possible for a black soldier. His chain of command submitted requests for an exception on Fleetwood’s behalf to Secretary of War Edwin Stanton. Despite having already made two other black soldiers lieutenants, no exception was granted this time. Fleetwood was sorely disappointed but he continued to serve with distinction. After Chaffin’s Farm, the 4th moved with the rest of the Army of the James down to the Atlantic Ocean. 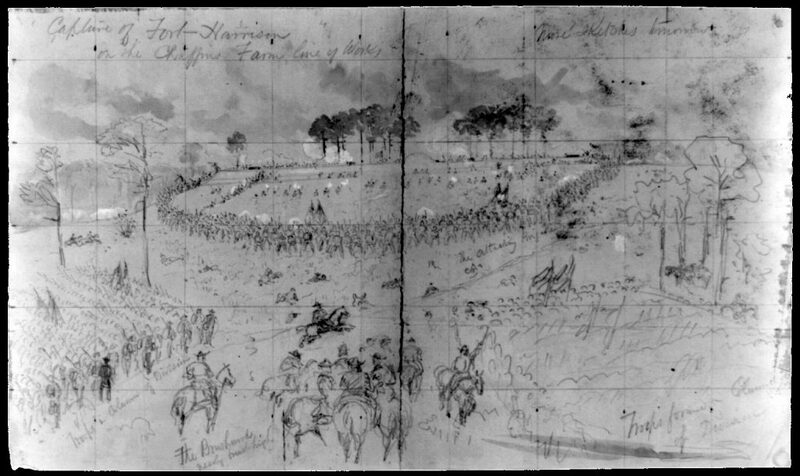 After some harrowing experiences aboard ships at sea, the 4th participated in the assault on Fort Fisher, which protected the port of Wilmington, North Carolina, in December 1864 and January 1865, and then moved inland to join Major General William Sherman’s operations against Confederate General Joseph E. Johnston. In April, Fleetwood was laid low by a case of typhoid and was a patient at the U. S. General Hospital for Colored Troops in Wilmington when his Medal of Honor was delivered in the mail. The citation simply read, “Seized the colors, after two color bearers had been shot down, and bore them nobly through the fight.” Later he had a relapse and was readmitted to the hospital, but he soon left his sickbed and walked back to his unit without permission. As a result, Fleetwood was briefly listed as a deserter. After serving for over a year and a half, Fleetwood was not about to be separated from his troops for long. Had he gotten the promotion that he deserved Fleetwood might have continued his military career after the war. He left the Army on 4 May 1866 and traveled to Columbus, Ohio, where he became a bookeeper in a wholesale grocery firm. In 1867, he moved to Washington where he held jobs at the Supreme Court, the Freedman’s Bureau, a realty company, and with the District of Columbia government. He stayed in government employ until he began a 10-year stint as a bookkeeper in the DC branch of the Freedman’s Savings and Trust Company. In 1881, he began a clerkship at the War Department, a job he held until his death. In 1869 Fleetwood married Sarah Iredell, one of the first African American nurses of the era. The Fleetwoods led an active social life along with the leading members of Washington society. In 1880 Fleetwood, organized a group of high school boys into a quasi-military organization known as the Washington Cadet Corps. Under Fleetwood’s mentoring, the Cadet Corps grew to battalion size. It was outfitted with uniforms, rifles, and a 30-piece band. After seven years of drilling and parades, it became the Sixth Battalion of D.C. National Guards, America’s first African American National Guard Unit, with Fleetwood, holding the rank of major, as its commander. In 1891, the Sixth consolidated with other similar units into the First Separate Battalion. When the command of this unit went to someone else, Fleetwood left but continued as an instructor of military subjects with the Cadet Corps until 1897. 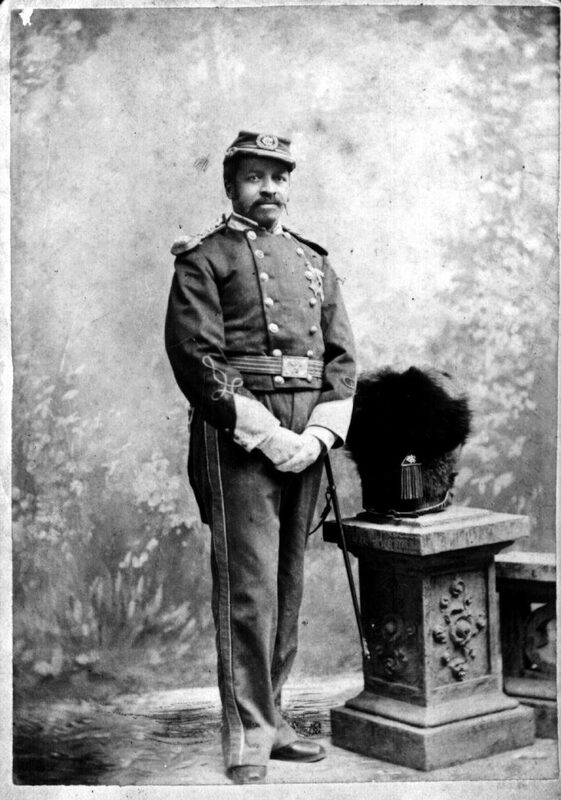 Many recommended Fleetwood to command the 50th United States Colored Volunteer Regiment during the Spanish-American War. The War Department neither gave him the command, nor did they use the 50th in the war. In addition to his military activities Fleetwood was a member of the 15th Street Presbyterian Church where he was choirmaster for a time. He also worshiped at the Saint Luke’s and Saint Mary’s Episcopal Churches, as well as the Berean Baptist Church. Fleetwood was an intelligent and dedicated man of character that struggled nobly in the face of socially accepted discrimination. He would never gain true acceptance as would be expected of a man of accomplishment, but he did attain a certain level of respect in his community. On 28 September 1914, Fleetwood died of heart failure. He was buried at the Harmony Cemetary after services at Saint Luke’s Episcopal Church. His funeral was well-attended with the First Separate Battalion serving as escorts. Several prominent Washingtonians acted as honorary pall bearers including his fellow officer, Major Arthur Brooks, and prominent Washingtonians Daniel Murray, Whitefield McKinlay, and Judge Robert H. Terrell. Despite being only five feet, four and half inches tall, Sergeant Major Christian Fleetwood was a man of great stature that should serve as an example for all soldiers today. For further reading see “A Regiment of Slaves” by Edward Longacre and “Uncommon Valor: A Story of Race, Patriotism, and Glory in the Final Battles of the Civil War” by Melvin Claxton and Mark Puls.